Darren Sproles is set to retire after the 2018 season. The Philadelphia Eagles running back wrote in a blog post on Sunday that he plans to play just one more year in the NFL. A veteran of 12 NFL seasons, his 2017 campaign was curtailed by a broken arm and torn ACL suffered in a Week 3 win over the New York Giants, preventing Sproles from playing a part as the Eagles won their first Super Bowl title by beating the New England Patriots in February. 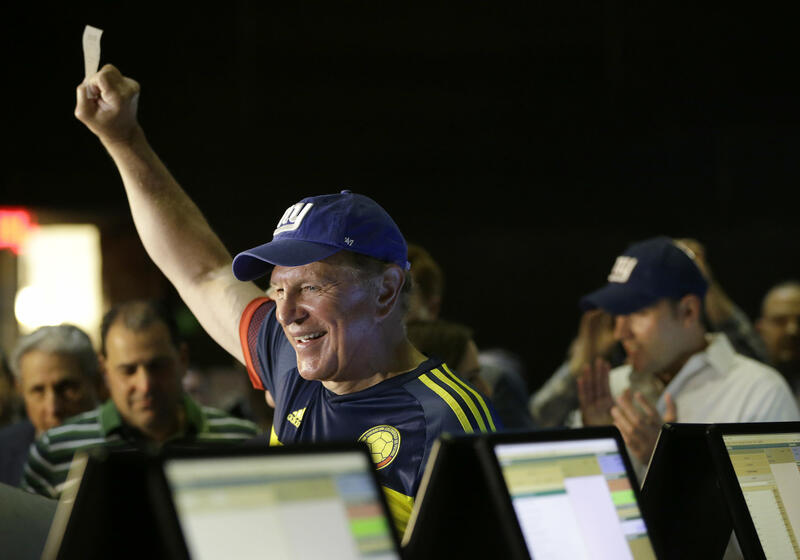 A northern New Jersey horse racing track has brought legal sports betting to New York City&apos;s doorstep. The Meadowlands Racetrack in East Rutherford began taking sports bets on Saturday morning. The track is located in the sports complex where the NFL&apos;s New York Giants and New York Jets play, about 6 miles (10 kilometers) from New York. Rodgers has three successful Hail Marys to his name. The first, on Dec. 3, 2015 against the Detroit Lions, kept his team&apos;s playoff hopes alive. At the American Century Championship Celebrity Golf Tournament in Lake Tahoe on Friday, Rodgers added another notch to his belt. Speaking publicly for the first time Thursday since he was fired last December, former New York Giants head coach Ben McAdoo still sounded very much like a fan of the club. According to a report by the New York Post&apos;s Paul Schwartz, McAdoo likes New York&apos;s offseason so much, he has some serious aspirations for the club. "I think they&apos;re gonna win the division," said McAdoo, who just turned 41 and is spending this offseason in Florida, out of football. Former New York Giants head coach Ben McAdoo is backing them to go from worst to first and win the NFC East in 2018. McAdoo led the Giants to the playoffs in 2016, but was fired in December with New York 2-10, they went on to end the campaign 3-13. Former Minnesota Vikings offensive coordinator Pat Shurmur was hired as his replacement and McAdoo expects the Giants to succeed, expressing scepticism over Super Bowl champions the Philadelphia Eagles&apos; ability to maintain their form of last season. FanDuel announced Thursday that it will open the first legal sportsbook on the grounds of an NFL stadium at the Meadowlands Sports Complex in New Jersey on Saturday. FanDuel said its 5,300-square-foot sportsbook will become part of the Meadowlands Racetrack. The track is next to MetLife Stadium, which is the home of the New York Jets and New York Giants. The 2018 NFL supplemental draft came to a close Wednesday, with multiple players being selected for the first time since 2010, when fullback Harvey Unga and nose tackle Josh Brent went in the seventh round to the Chicago Bears and Dallas Cowboys, respectively. The Giants gave up a third-round selection in the 2019 NFL draft for the right to pick Western Michigan’s Sam Beal in Wednesday’s supplemental draft. Sam Beal became the first player taken in the NFL Supplemental Draft for three years as the New York Giants selected him in the third round. Western Michigan cornerback Beal is the highest pick in the Supplemental Draft since Josh Gordon was selected in the second round by the Cleveland Browns in 2012. The Giants will now forfeit their third-round pick in the 2019 draft.